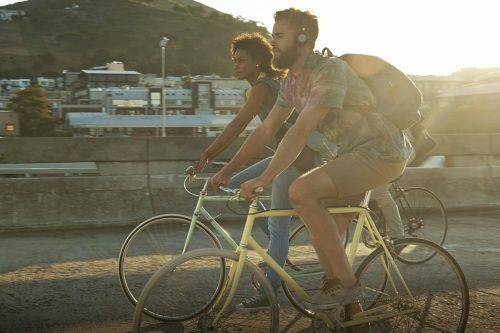 A bicycle, often called a bike or cycle, is a human-powered, pedal-driven, single-track vehicle, having two wheels attached to a frame, one behind the other. A bicycle rider is called a cyclist, or bicyclist. 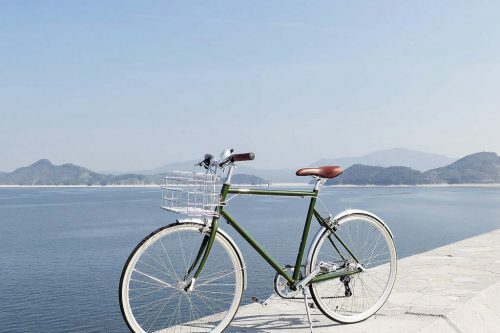 Bicycles were introduced in the 19th century in Europe and, as of 2003, more than a billion have been produced worldwide, twice as many as the number of automobiles that have been produced. They are the principal means of transportation in many regions. 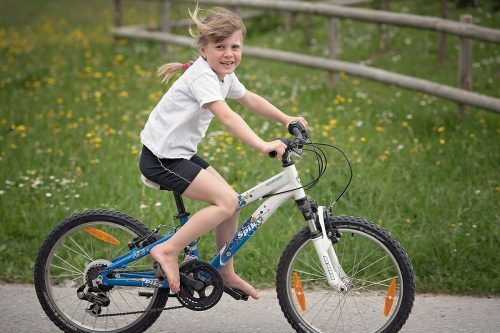 They also provide a popular form of recreation, and have been adapted for use as children’s toys, general fitness, military and police applications, courier services, and bicycle racing. The basic shape and configuration of a typical upright, or safety bicycle, has changed little since the first chain-driven model was developed around 1885. But many details have been improved, especially since the advent of modern materials and computer-aided design. These have allowed for a proliferation of specialized designs for many types of cycling. 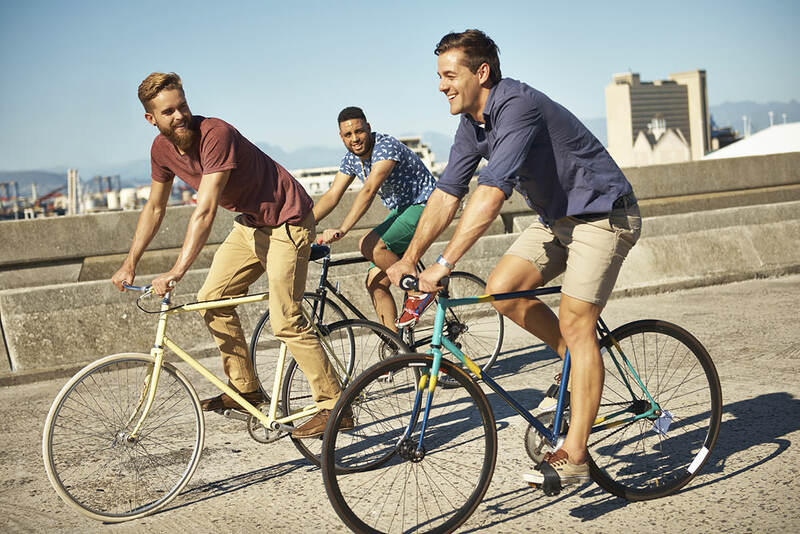 The bicycle’s invention has had an enormous effect on society, both in terms of culture and of advancing modern industrial methods. 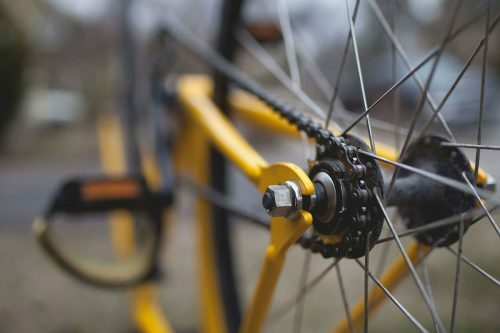 Several components that eventually played a key role in the development of the automobile were initially invented for use in the bicycle, including ball bearings, pneumatic tires, chain-driven sprockets, and tension-spoked wheels. The word bicycle first appeared in English print in The Daily News in 1868, to describe „Bicycles and tricycles“ on the „Champs Elysées and Bois de Boulogne.“ The word was first used in 1847 in a French publication to describe an unidentified two-wheeled vehicle, possibly a carriage. The design of the bicycle was an advance on the velocipede, although the words were used with some degree of overlap for a time. Other words for bicycle include „bike“,“pushbike“, „pedal cycle“, or „cycle“.